DSTI has been launching TPM Biz in the Market aggressively from this year, 2019. So, Cost of IT will be saved a lot in Network, Server, Storage, Security and Virtual Solution. 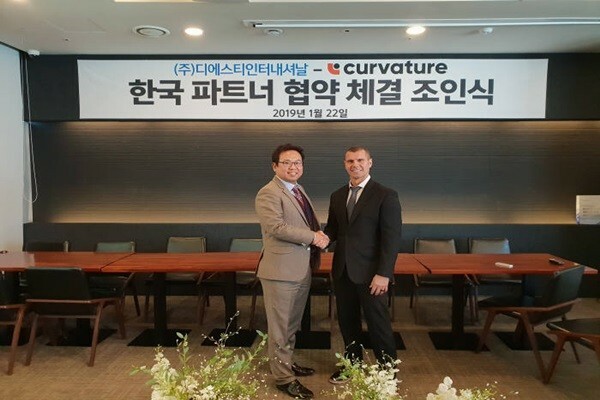 DSTI (Mr. H.T.Kim) announced in Jan 23 that they made Partner Contract with Curvature in Haedamche Hotel in Korea. DSTI is going to provide IT Solution for IT Consulting, System integration, System Management, IT Security. With 100 employees including 60 engineers, Sales Rev of 2018 is about U$25 Million and targeting about U$36Million by 2020 with TPM Biz in Korea. HT Kim said that DSTI has experienced with more than 250 companies in Public, Education, Finances, and Medication etc. fields for last 19 years in Korea, and DSTI can provide better solutions with Curvature to save user’s unnecessary cost. Curvature is the best and biggest global company in TPM Biz with about U$550 Million in Rev. in 2017. Curvature has about 2200 staffs and 600+ Depots globally. Curvature has providing new and pre-owned HW, Maintenance and IT services for managing Network, Server, Storage infrastructures and help companies extend their asset lifecycle, decrease capital expenditures and free IT teams from the burden of daily support tasks and costly manufacturer constraints. The manufacturers supported by Curvature includes Cisco, NetApp, IBM, Dell EMC, HPE, Lenovo, Brocade, Arista, etc. Curvature is operating 24 x 7 call center, 100+ staffed service centers with 800+ badged field engineers globally. Jason Ogden, GM in APAC, said that DSTI has more than 300 End customers in Domestic Market and owned Server, Network, Back-Up Engineers. With this Knowhow, our cooperation will leverage Synergy effect in Korean Market. Jason Ogden added that Curvature’s TPM not only supports current-generation but also, end-of-life products that OEMs no longer support. The advanced hardware replacement can replace parts on your existing products beyond manufacturer’s End of Service Life (EoSL) and reduce hardware costs by 50% or more.